There are some locations that just seem mysterious and fascinating, either due to their rich and multi faceted history, their geographic location or simply because of the name. While hardly the tourist destination of some of its western European counterparts, Riga is a destination worth checking out by citizens of any background or interest. If you’re looking for where to stay in Riga, look no further than it’s historic downtown square area. The city square of Riga is a noted World Heritage site, notable for its wooden architecture and quaint charm of a long ago era that has been through remarkable hardships. Situated in Latvia and the largest city in that country, Riga has been enchanting travellers for centuries with its charm and understated allure. It is not an overly large city when compared to the other major metropolitan centres in Europe, but what it lacks in size it makes up for in beauty with it’s remarkable architecture and magnificent views. 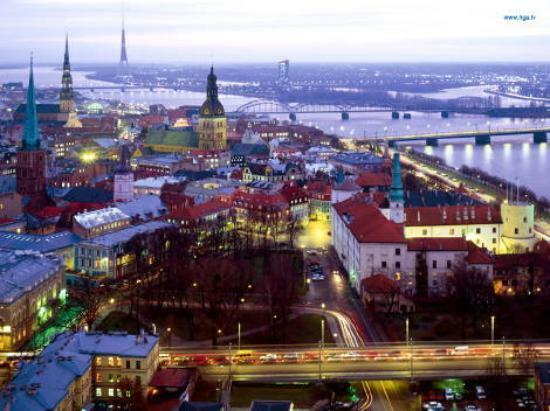 As a major port city for the country and the Baltic region as a whole, Riga has developed into an important business hub that sees much in the way of international prominence and recognition. At the same time, because the city lies on a river mouth that flows into the sea, the many bridges that make up daily life in Riga only adds to its appeal. If you happened to be planning a visit to any of the Baltic countries, it’s likely that you will be flying into Riga, as it is home to the largest airport in the region. Although the population of the city is in decline, it does not mean the city has nothing to offer visitors. When you consider the history of Latvia under various rulers from its founding in the 13th century to Soviet era occupation, the fact that the city has endured and remained a significant player on the world stage is remarkable. Remnants of the old regimes are among many of the attractions that draw visitors to Riga but reminders of that time are still fresh in many of its citizens’ minds. In the end, what really sets a city apart from the rest are its people and Riga is no exception. As a tourist you will be viewed with a hesitant eye by some but welcomed by most, especially if you fall in love with its old world layout and charm and decide to stay longer, perhaps taking up an apartment. The people of Riga have been through a lot in their storied past and if they make you one of their own, it is one of the highest honours you can receive. Consider a stay in the Baltic beauty that is Riga and be prepared for an experience you’re not soon to forget.